I Joranda Científica "Conocer la discapacidad"
The Council of Government of the University of Alicante, in his ordinary session of the day 19 December 2017 approved unanimously the Protocol of attention to the identity and to the expression of gender. 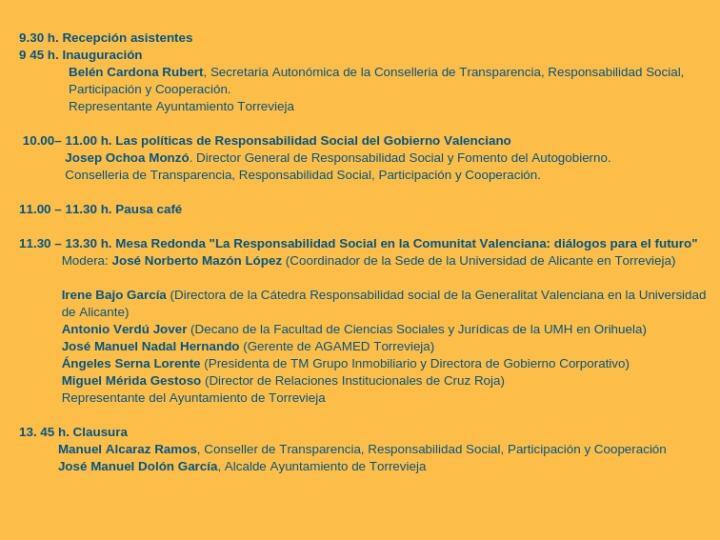 Gathered the members of the Commission evaluadora in the Vicerrectorado of Social Responsibility, Inclusion and Equality the day 22 November 2017, taking into account the bases of the announcement (BOUA 30-06-2017) agree to approve and publish the relation of people that have been rewarded in the contest to endow of name and logo to the project of collective finance or crowdfunding of the University of Alicante. Program of own Studies "PERSONAL And LABOUR COMPETITIONS IN SURROUNDINGS OF EMPLOYMENT WITH SUPPORT"
Opened the term for the preinscripción in the Program of own Studies "PERSONAL And LABOUR COMPETITIONS IN SURROUNDINGS OF EMPLOYMENT WITH SUPPORT"
Resolucion Contest App's "technological Solutions to the social challenge of the violence of gender"
Presentation of proposals until 17 November. The period of presentation of applications finalises on 16 October 2017 (23:59). The ONCE selects to the University of Alicante for the university training of people with intellectual disability with the "Title of specialist in "personal and labour Competitions in surroundings of employment with support"
The term for the presentation of proposals finalises on 30 October. The period of presentation of applications finalises on 25 October 2017. The Project of collective finance or crowdfunding of the University of Alicante summons a contest of ideas to participate in the proposal of a name for the tool web that will allow the gestión on line of the future projects, and the design of a destined logo to be his representative image. Round table "2013 The public administrations like impulsoras of the social responsibility"
Of the 11 to 12 July 2017 in the University Headquarters of Elda. The social responsibility defines like %u201Cthe voluntary integration, by part of the companies, of the social and environmental worries, in his commercial operations and his relations with his interlocutor%u201D. This active paper transformer or of change no only is predicable for the big companies, but also for the small and average if they assume in his gestión criteria of social responsibility. The course wants to approach to said reality, and see how the public powers tackle it. INITIATION FORMALITY OF PREVIOUS QUERY ON THE LAW OF CITIZEN PARTICIPATION And PROMOTION OF THE ASOCIACIONISMO, And CELEBRATION OF DAYS OF CITIZEN PARTICIPATION. Corporate social responsibility: culture, norm, ethical and... Business? The exhibition will celebrate from the 17 until 31 May in the General Library UA. Prizes to promote projects, investigations and innovative solutions that they are beneficial for the sustainable development, in any one of his social fields, economic and environmental. 24 May 2017. Living room of Acts Building Germán Bernácer, University of Alicante Campus of Saint Vicent. Right exhibition of the refugees %u201C#11 lives in 11 cases%u201D, organised by the Foundation of the General Council of the Abogacía Spanish and the School of Lawyers of Alicante. Place: Headquarters of Alicante, c/Ramón and Cajal 4, Alicante. ANNOUNCEMENT OF SUBSIDIES To ASSOCIATIONS And NON-PROFIT ENTITIES FOR THE DEVELOPMENT OF PROJECTS IN THE FIELD OF PERFORMANCE OF THE PLAN OF RECEIVED And SOCIAL COHESION OF THE CITY OF ALICANTE. YEAR 2017. Project promoted with the Foundation Women by Africa with the collaboration of 19 Spanish universities between which finds the University of Alicante. Creation Chair "Water of Alicante of Social Inclusion"
The University of Alicante, Waters Municipalizadas of Alicante and the Association Pro Disabled Psychic of the Province of Alicante (APSA) have formalised the chair "Water of Alicante of Social Inclusion" of the Unviersidad of Alicante. The Foundation Gipsy Secretariat, the University of Alicante and the Foundation Lucentum join to commemorate the 8 of Abril, International Day of the Gipsy Village. A proposal of the University of Alicante to support the investigation, the emprendimiento and the social action. VII DAYS OF COOPERATION To THE DEVELOPMENT: Crisis of Refugees: a global look II. We speak of Human Rights. 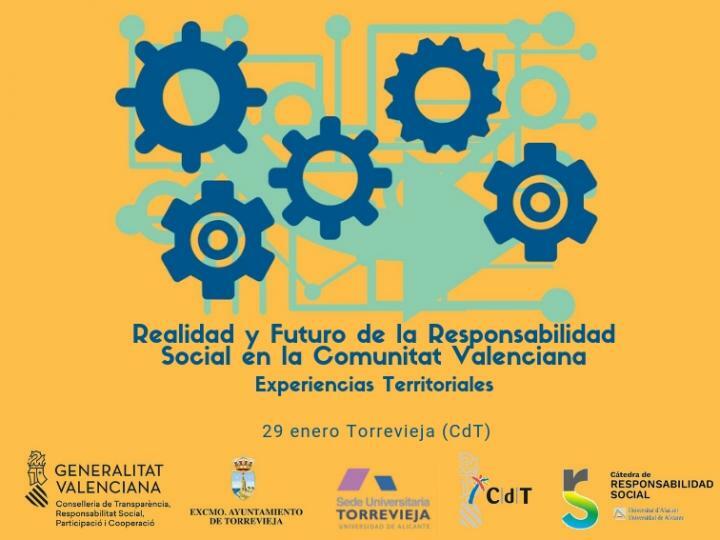 Schedule: 9 h. To 19.30 h.
More than 60 educational of the IES LLoixa participated the day 1 March in the conference %u201CGIPSY CULTURE, SOCIAL CHANGE And EDUCATION%u201D, organised by the Concejalía of Education of Sant Joan d'Alicante, with the collaboration of the University of Alicante. ROUND TABLE "AGAINST THE RULES"
EXHIBITION "SEXUAL DIVERSITY And SPORT"
A team of investigation of the University of Alicante leads a national study on state of health, lifestyles and access sanitary services of the gipsy community. Vicerectorat Of Campus i Tecnologia. Tallers "Amb bici To the UA". Tallers gratuïts dirigits To tota the comunitat universitàira amb l'objectiu to provide els coneixements i destreses necessaris per to utilitzar amb seguretat i comoditat the bicycle. Destined subsidies to the universities of the Comunitat Valencian for the realisation of performances related with the development of the Statute of autonomy of the Comunitat Valencian and the promotion of the autogobierno, as well as with the social responsibility. The Number 22, that will be an extraordinary number devoted to the "Immigration, Nationality and international private Relations" will be edited by the Provincial Observatory of the Immigration. 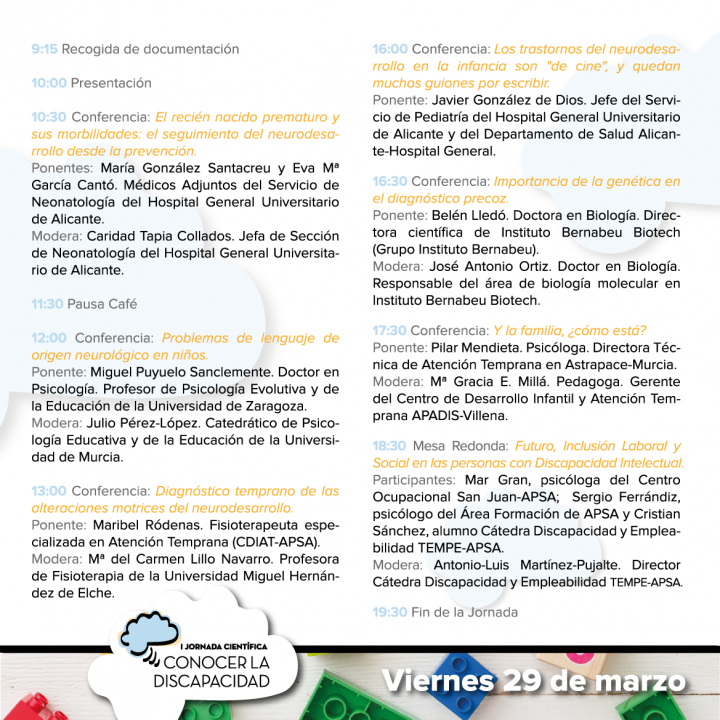 The educational personnel and researcher interested in publishing, communicate it no later of 30 March to the mail: alfonso.ortega@umh.es. Days LGTBI centred in the subject TRANS. Ministry of Health, Social Services and Equality. General direction of Public Health, Quality and Innovation. Second National Survey of Health to Gipsy Population, 2014. Madrid, 2016. Conference "The route that follow the refugees that escape of the war of Syria"
SEMINAR "EQUALITY OF DEAL And NO DISCRIMINATION"
Schedule: Of 10.30 to 14:00 and of 16:30 h. To 18:30 h.
- Period of preinscripción: of 26 September until 28 October 2016. - Period of registration: of 17 October to 28 October 2016. The "Menu of welcome 2016" fomar splits of a much more extensive letter of the project "Healthy University" of the University of Alicante. The General Assembly of the UN has summoned a meeting to level of Heads of state and of Government on the big trips of refugees and migrantes, historical opportunity to elaborate a plan detailed that it allow to formulate a better international answer. Already you can inscribe you in the XVIII Formative Days of COCEMFE Alicante, focused this year in the achievement of a Space Sociosanitario Inclusivo for the people with disability. Course directed to the profesorado of the University of Alicante that attends to alumnado deaf or have interest in the Deaf Community and the tongues of signs. 12, 13, 19 and 20 September, of 16 to 19 hours. This book collects the current situation of the Spanish Universities in matter of Social Responsibility, analyses the evolution in these four years (2010-1014) in numerous appearances and presents eight sections of conclusions. They will enjoy of total exemption of the payment of the taxes regulated in this chapter, the students victims of acts of violence of gender that accredit this condition by means of any one of the means of proof foreseen in the article 9.1 and 9.2 of the Law 7/2012, of 23 November, of the Generalitat, integral against the violence on the woman in the field of the Comunitat Valencian, as well as the children and daughters to his lower charge of 25 years. In case to be victim of violence of gender, have to present a photocopy collated of the judicial resolution that recognise said codición or, while it dictates the resolution, report of the Fiscal Ministry in which it give off that they exist indications that you are victim of this violence and, if you are son/to of the person recognised like victim and have less than 25 years, also book of family. 9.30 h.- 9.45 h. Presentation of the Days. 9.45h-11.15 h. Workshop: "The potential of the Crowdfunding for the University: proposals and recommendations"
Co-Founder of the Informative Portal Universe Crowdfunding. Adviser of the European Commission on the potential of the Crowdfunding for Europe (European Crowdfunding Stakeholder Forum (ESCF). 11,30 h- 13,00 h. Table of Experiences in Crowdfunding. Manager of the Unit of private Finance. Platform Precipitates. Spanish foundation for the Science and the Technology (FECYT). Manager of Communication and Contents of the Platform Launch us. 13,00 h-14,00 h. Report "The fundraising in the university"
Area of Corporate Communication and Sponsorship. Service of Communication and Publications. Universitat Jaume I. 15,00-17,00. Internal session of Work.